In 1781, Robert Burns, a 22-year-old farmer, came to Irvine from the farm known as Lochlie, ten miles south, near Tarbolton. One of the crops they were growing, backed by Government grant, was flax, which gives the fibres for making linen. Robert was not happy just to grow the flax in their fields, but wanted to learn the next stage - how the plant's fibres were combed straight in a process known as flax-dressing. "Partly thro' whim and partly that I wished to set about doing something in life, I joined with a flax-dresser in the neighbouring town of Irvine, to learn his trade and carry on the business of manufacturing and retailing flax". In Glasgow Vennel, he sought out the man who would be his partner, his mother's half-brother, Alexander Peacock - "a scoundrel . 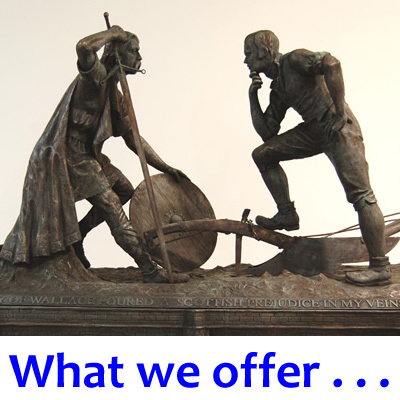 . . who made money by the mystery of thieving". His plan was carefully thought out. 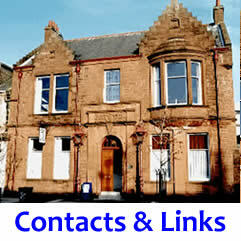 The first step had been taken in joining the Masonic lodge in Tarbolton; as a Mason, he would have a ready-made source of friends in any town. 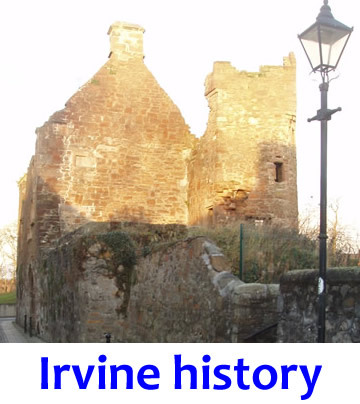 Irvine then was a major seaport handling goods for Glasgow - an industrious town, with bustling streets. Its Parish Kirk could seat five times the population of Tarbolton, his home village. "For me it was an important era. . . From this adventure I learned something of town life." When Robert came to Irvine, the flax trade was uppermost in his mind. By the time he left, he sensed that his future was to be in poetry. Flax-heckling - four years before mechanical methods were available - was a tedious, dusty, indoors existence - so different to the fresh air of his upland farm. He became depressed - on December 27th he wrote back to his father in Tarbolton: "I foresee that very probably Poverty and Obscurity await me and I am in some measure prepared and daily preparing to meet and welcome them". The local doctor, Surgeon Fleming, had attended him - a severe fever needing five visits in eight days - we know this from the doctor's daybook, discovered in 1956. "Ere long, perhaps very soon, I shall bid an eternal adieu to this weary life; here I penned such melancholic works as 'Dirge to Winter' and 'Prayer under Pressure of Violent Anguish' ". 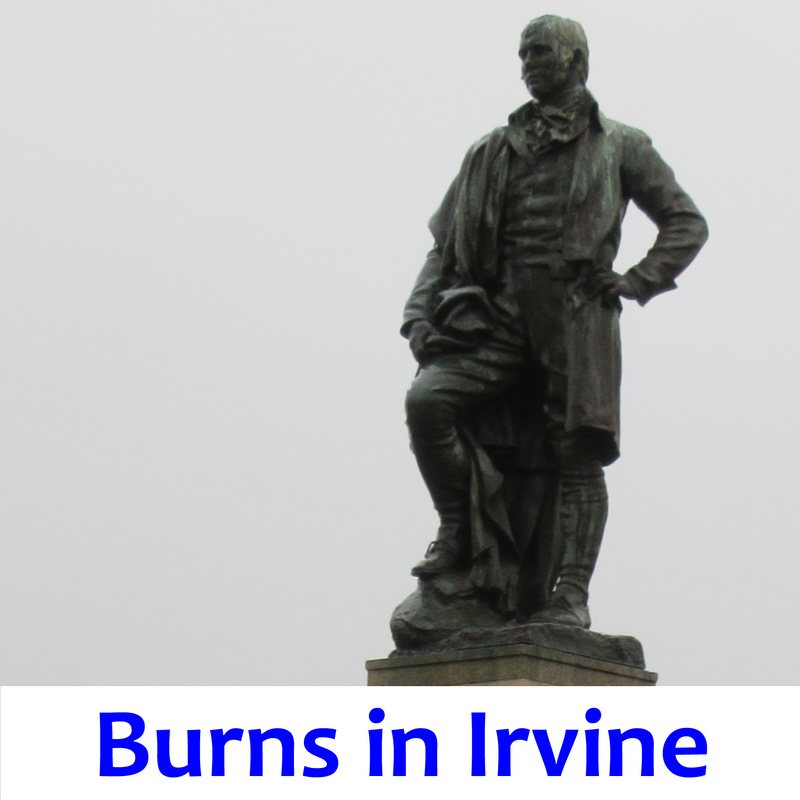 But Irvine also provided stimulus for Burns' restless mind. In the bookshop of William Templeton, town councillor, bookseller and local worthy, Burns spent much time browsing. Robert discovered here the works of Smollett and other Scots writers, and in particular the poems of Robert Ferguson, who had died seven years earlier in Edinburgh's mental hospital at the early age of 24 years. "Rhyme I had given up; but meeting with Fergusson's Scotch poems, I strung anew my wildly-sounding rustic lyre with emulating vigour." At Irvine harbour, Captain Richard Brown told Robert stories of ships and the sea. Although born of a humble family, Brown was well educated. He was visiting his home town, and would later become captain of a large trading ship based on the Thames. Robert wrote: "He was the only man I ever saw who was a greater fool than myself when WOMAN was the presiding star. His knowledge of the world was vastly superior to mine, and I was all attention to learn." Richard Brown - and Irvine - played a defining role in Burns' life. One Sunday, as they walked and talked in Eglinton woods, Brown "wondered that I could resist the temptation of sending verses of such merit to a magazine. 'Twas actually this . . . which encouraged me to endeavour at the character of a Poet." The sea-captain's words had persuaded the poet that some day he should publish his work. But the partnership and work which had brought Robert Burns to Irvine, ended rather suddenly - at Hogmanay celebrations - as he wrote in a famous autobiographical letter, "while we were giving a welcome to the New Year, our shop, by the drunken carelessness of my Partner's wife, took fire and was burnt to ashes; and left me, like a true Poet, not worth sixpence. I was obliged to give up business." Mrs Peacock, a little the worse for drink - most unusual for a solemn Irvine housewife - knocked over a candle, and the workshop went up in flames. Overnight, Robert's flax work was at an end. 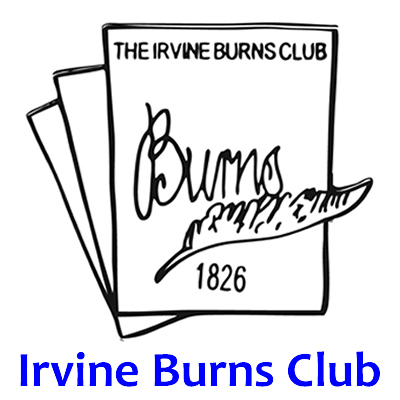 Robert Burns stayed on in Irvine until the spring of 1782 - presumably he wasn't needed back home on the farm, and he had good company in Irvine - Captain Richard Brown, bookseller Willie Templeton, Provost's son John Hamilton, the members of the Masonic lodges, perhaps the attractive wench, the vagrant Jean Glover, certainly many others of whom we know nothing - but Burns had indeed learned something of town life. * This last sentence was the theme of the Immortal Memory proposed by Harry Gaw as President of Irvine Burns Club in 1963.